Looking for a great Christmas getaway in the Midwest? Previously named one of the "10 best places to spend Christmas" by CNN, the town of Santa Claus, Indiana, whose population is less than 2,500, boasts the only post office offering a special "Santa Claus" postmark. The town was originally called Santa Fe. In 1856, the United States Postal Service originally refused the town's application as there was already a Santa Fe established with the USPS. This inspired the townspeople to change the name of the town to Santa Claus. Every year, the post office receives thousands of letters to Santa from all over the world. A group of volunteers known as Santa's Elves ensures each child receives a reply from Santa Claus. This tradition has existed since 1914. Street names in Santas Claus include Christmas Boulevard, Candy Cane Lane, and Mistletoe Drive, and you'll find over 20 statues of Santa around town, offering many seasonal photo ops. Santa Claus has a Christmas-themed amusement park called Holiday World, but ironically it is not open during the Christmas season. Every year, a new holiday postmark is designed by a local high school art student as part of an annual contest. The winning stamp design in 2017 can be seen here. Chestnuts roasting on an open fire at Santa's Candy Castle, which opened in 1935 as the Christmas-themed attraction in the United States. 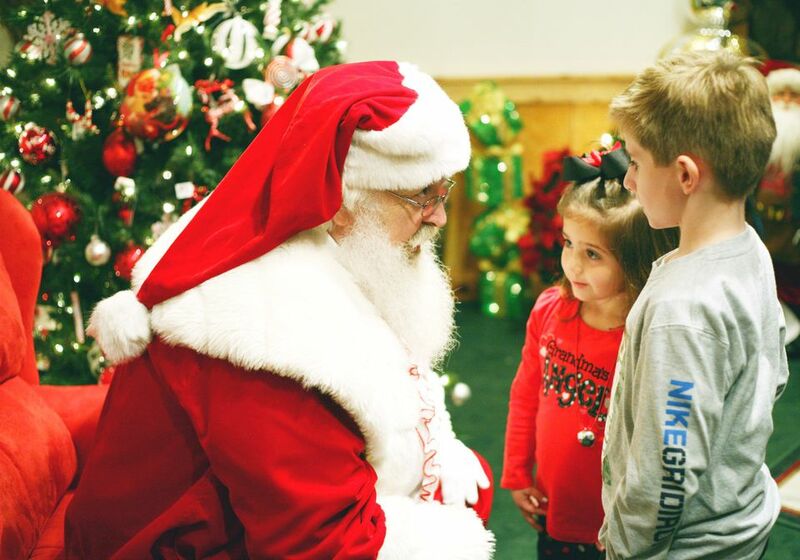 Families looking to save money on a getaway to Santa Claus should consider one of the Christmas packages the local visitor center has put together to give added bang for your buck. The packages are bundled to include accommodations and a selection of events and activities for added value. Some packages offer extras such as a bedtime story with Santa and Mrs. Claus in your hotel room. Options start at under $100 a night and increase depending on quality of accommodations and the inclusions of the package. What Is There to Do at Seven Peaks Waterpark Porter?